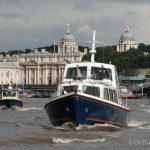 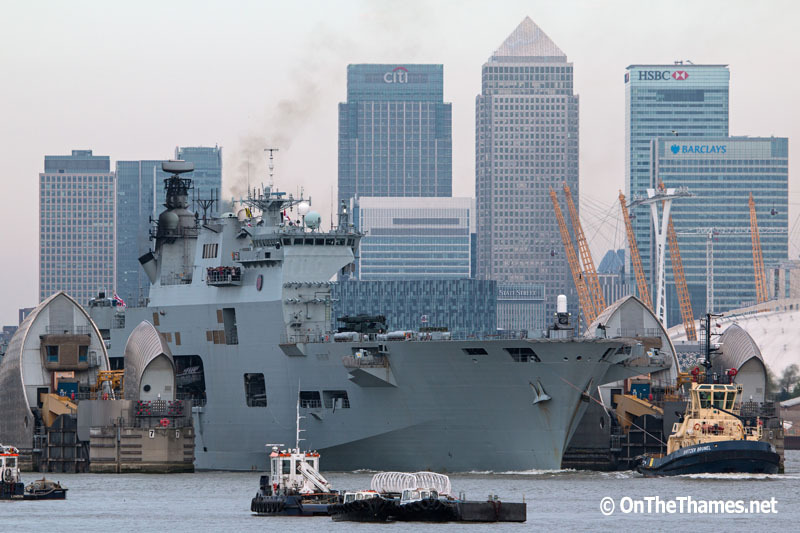 HMS Ocean squeezes through the Thames Barrier shortly after departing from Greenwich Ship Tier where she had been for five days. 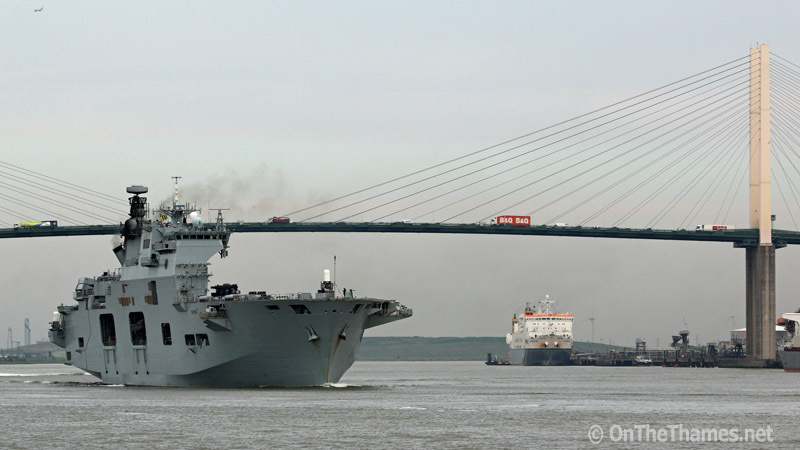 Further down river, HMS Ocean passes under the QE2 Bridge with a visiting German fast patrol boat following her. 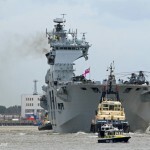 HMS Ocean turns at Greenhithe. 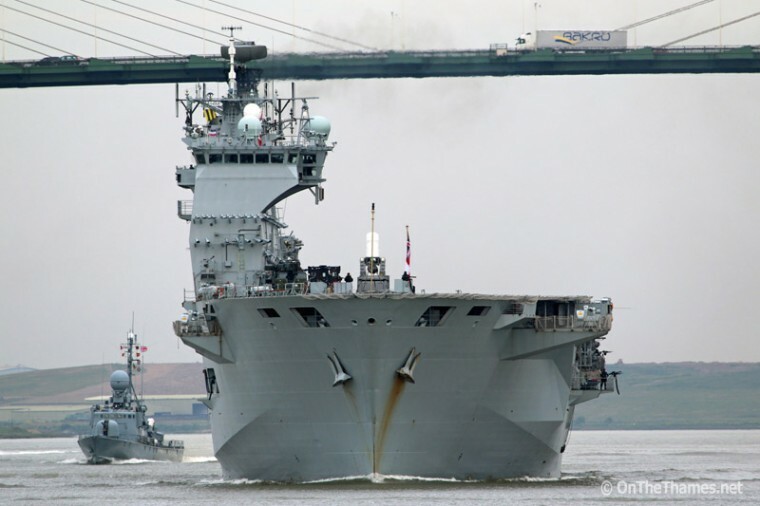 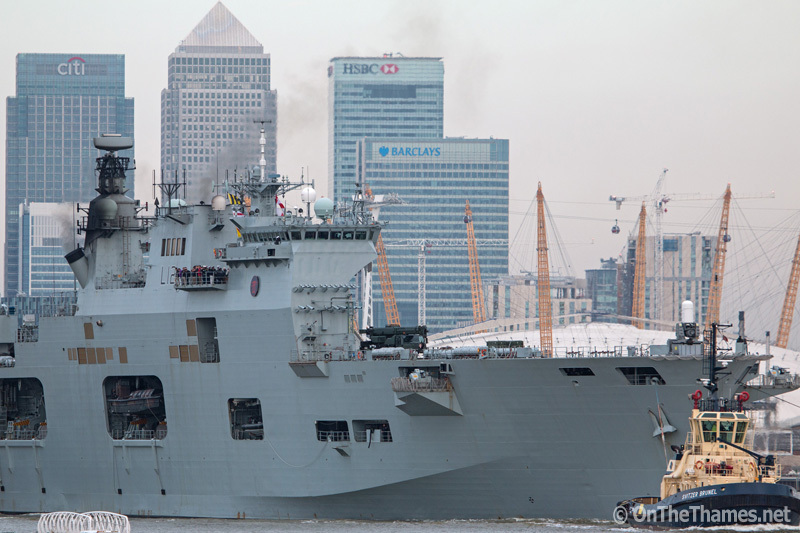 The size of HMS Ocean is illustrated by the Dartford crossing behind. 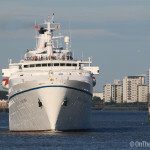 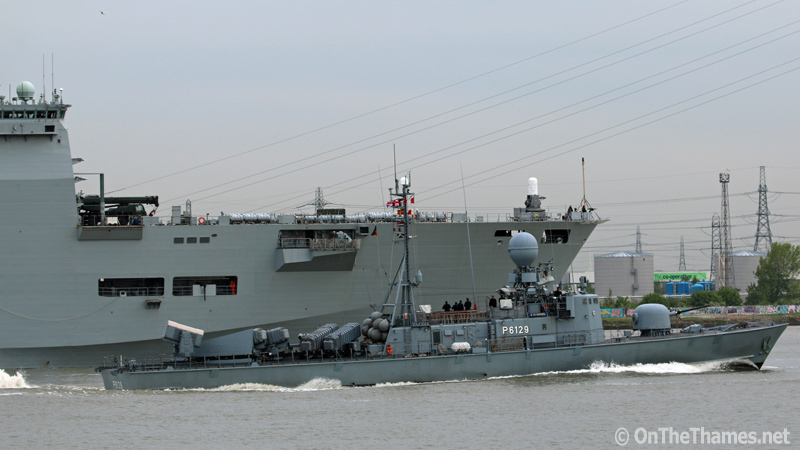 FGS Wiesel, which depart West India Dock this morning with three sister vessels, passes HMS Ocean. 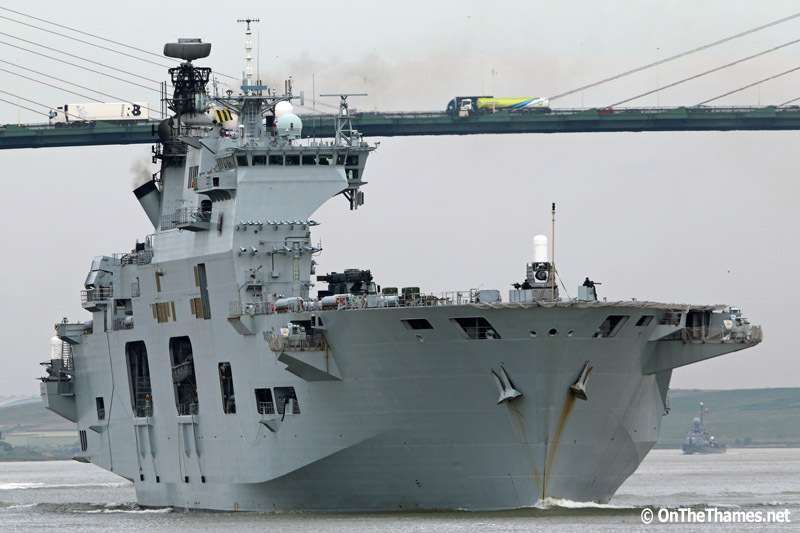 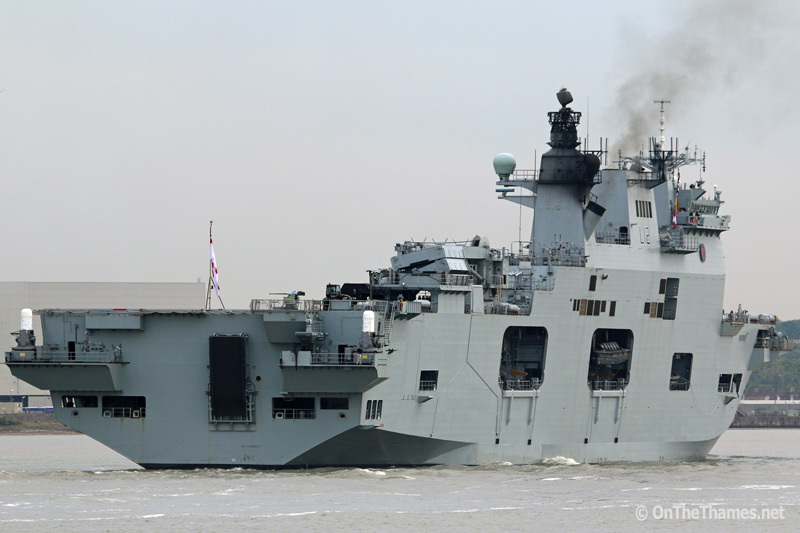 HMS Ocean is due to take over from HMS Bulwark as the fleet's flagship next month.